I'm really close to having a project working 100%. 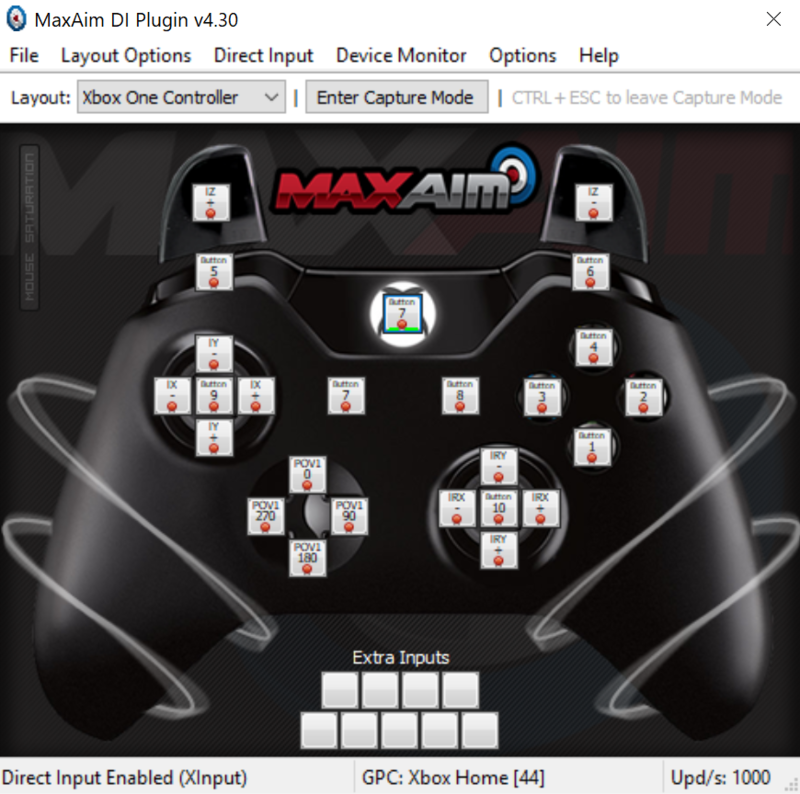 I'm using a Titan One to control an Original Xbox through the MaxAim DI plugin. I have all of the main buttons working. My last challenge is that going back to the Home screen on the OG Xbox requires you to hold down Right Trigger + Left Trigger + Back + Black (shoulder button). I'm not sure how to program the Home Button in MaxAim DI to hold down these buttons at the same time. I tried going into the "More" menu and adding those buttons, but it seems to press them in a sequence rather than at the same time. Is there a way to do what I'm trying to do? When using MaxAim DI the script should be loaded on the active MaxAim Layout, and not on the device's memory slot. For that, open the Script on Gtuner Pro code editor and run MaxAim DI via plugin menu. On MaxAim, click on Menu Layout -> Load GPC Script. I really appreciate your response! I was thinking it might be something along these lines from the research that I did. I tried the script that you wrote and it did not work. I think that part of the problem is that I had to manually define the buttons in MaxAim DI as DirectInput. I believe that this changes the ID for each button, so it might affect the script that you suggested. Am I on the right track? If so, how to do I change the values in the script to match the DI identifiers? Here's what my layout looks like in MaxAim DI. The script will use the inputs after the MaxAim DI mapping. Based on the image you posted the conditional to press RB, LB, RT and LT all together is triggered by pressing the Button 7 of your controller.